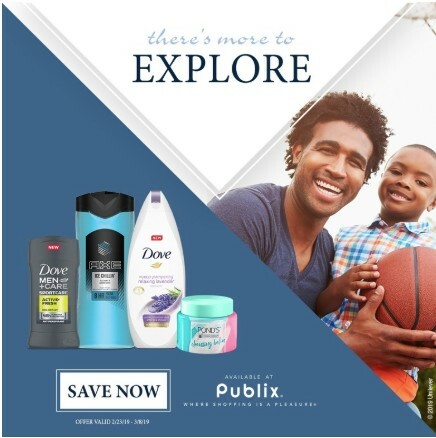 Home > Free > Dove & AXE Deals at Publix + New Coupons! 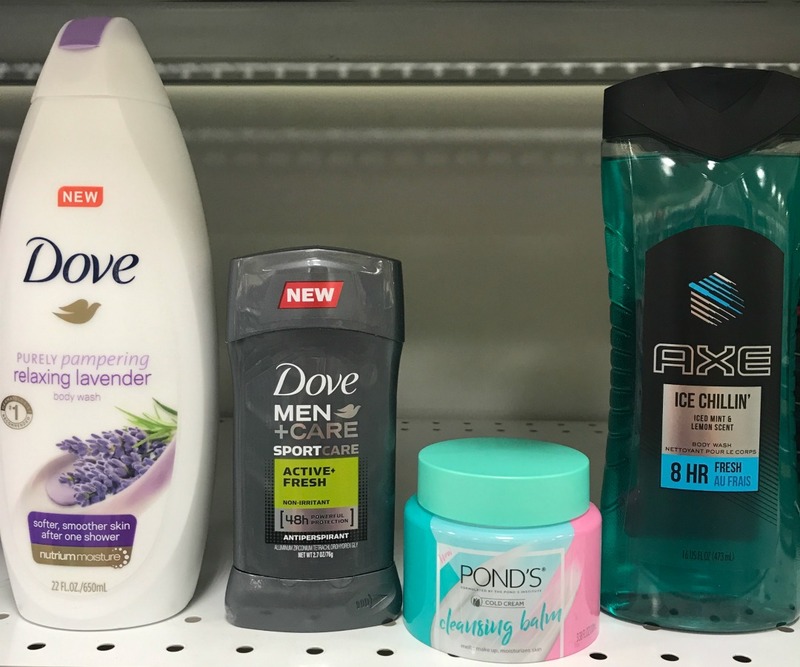 Dove & AXE Deals at Publix + New Coupons! Have you taken advantage of the great Unilever brand store coupons at Publix? You’ve got one more week to grab some deals with the coupons! Unilever and Publix are teaming up to help you be bracket-worthy on a budget with these Dove, Suave, St. Ives and Vaseline coupons to use at your local Publix. $3/2 Dove Men+Care Body Wash or Shower Foam 13.5 – 23.5 oz., Hair Care 1.75 – 12 oz., Deodorant 1.7 – 5.4 oz. or Bar Soap 6 ct.
$2/2 TRESemmé Shampoo, Conditioner or Styling Products 4.3 – 28 oz. $1 off Degree Deodorant 1.7 – 6 oz. $2/2 AXE Hair Care 2.64 – 12 oz., AXE Body Wash 12 – 28 oz. or AXE Deodorant 2.7 – 8 oz. $1 off Simple Product .85 – 6.7 oz. or Wipes 25 ct., POND’S Product 3.5 – 10.1 oz. or Wipes 30 ct. or St. Ives Scrub 6 oz. To make the deals even better we are getting new manufacturer coupons for some of these items in Sunday’s newspaper! Pair the savings together to get some sweet deals in your store. Add these to your shopping list and grab them the next time you are in Publix! Dove Purely Pampering Relaxing Lavender Body Wash: Get softer, smoother skin as you soothe your senses with this gentle lavender body wash.
Pond’s Cold Cream Cleansing Balm: Recently awarded “Best of Beauty” for skincare in 2018 – this is a unique blend of oils and cleansing essence pressed into a solid balm. Once massaged into skin, it transforms into a silky oil, melting away stubborn makeup and removing impurities. After rinsing, skin is left clean, soft and radiant! Axe Ice Chillin’ Body Wash: Makes you feel clean, fresh, and rejuvenated with a fresh fragrance of frozen mint and lemon. Dove Men+Care Sport Active+Fresh Antiperspirant Deodorant: Designed specifically for men to provide the performance you need while also delivering superior comfort for your underarm skin. Want to keep up on all the latest products from Dove, Axe, Suave and more? Check out their More to Explore Facebook page for new products, styling tips and other fun finds.